Valuable condition monitoring data, relevant for an entire drive-train, can be unlocked using electrical signals in motors. Advances in sensing, connectivity, cloud and computing technologies are driving the digitisation of industry at an ever-increasing rate. Add analytics algorithms to the mix and customers can extract considerable additional value from their devices, systems and plants. Digitisation increases the ability to diagnose and predict the future health of components with greater confidence and accuracy – and to optimise maintenance strategies accordingly. 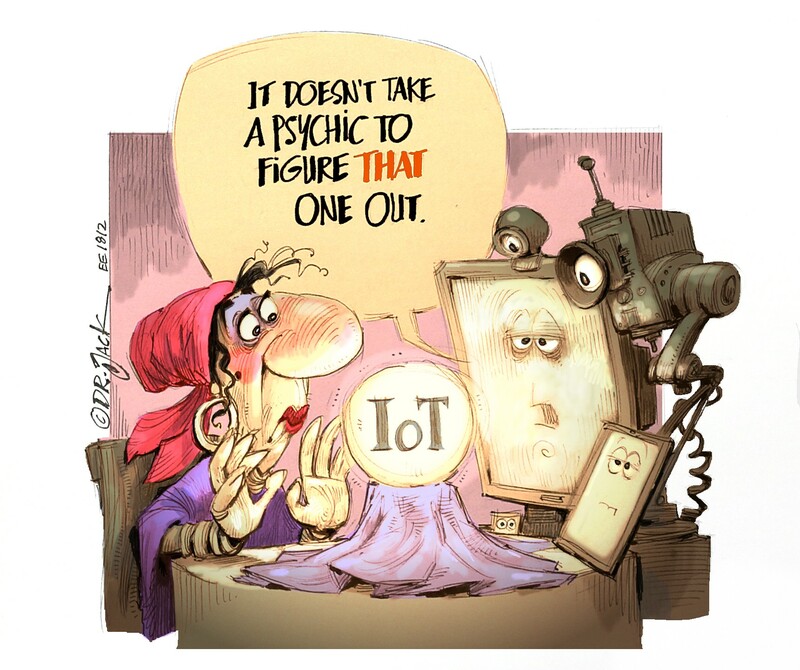 Condition monitoring or, more specifically, predictive maintenance, represents one of the most regularly cited applications of advanced data analytics in an industrial context. From a conceptual point of view, condition monitoring is simple: measure and observe parameters that are indicative of the health of a piece of machinery and, when a change is identified in one or more of these parameters, infer what this means for the likely present and future health of the machinery. Fig. 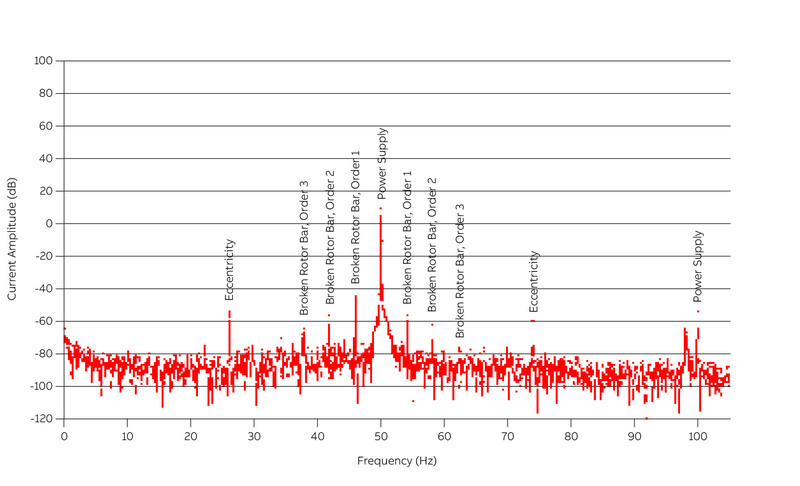 1: Current frequency spectrum measured on an experimental induction motor with various seeded faults. Frequency components of interest are highlighted, including those that can be used to diagnose specific fault modes. To implement such an application, the engineers developing it must have an advanced understanding of the underlying physics of the system to ensure that the right data is recorded at the right times. Rotating machinery is a traditional domain for condition monitoring. Sensors such as accelerometers, thermal infrared imaging systems and oil debris sensors are typically used to detect increases in vibration, temperature and particle count, each of which can be indicative of a potential fault in the equipment. 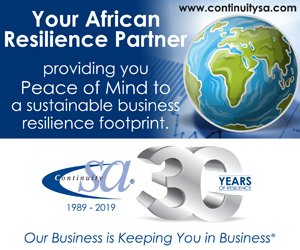 While the effectiveness of these methods is beyond doubt, safety, spatial or financial constraints make it difficult or impossible to gain access to and attach such instruments to the equipment in many cases. Fortunately, there are also other sources of data that are well-suited for condition-monitoring. Interestingly, this data is often already being collected but not used. 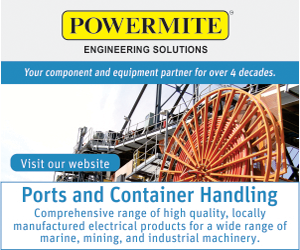 Their low cost and robust design, coupled with advances in control capabilities, have made induction machines so popular that they are now one of the main consumers of total energy generated globally. Such machines can be found in large critical installations such as the megawatt installations in oil and gas compression stations, as well as in multipurpose general use, where they drive a wide array of applications. In view of the broad distribution of these machines, advances in health-monitoring capabilities have the potential to deliver huge gains in terms of improved up-time, reliability and the associated savings. A widely recognised approach for identifying faults in motors is motor current signature analysis (MCSA). Basically, the currents in the motor’s connection cables are measured cusing current transformers, for example) and then analysed (e.g. by using spectral analysis). Induction motors operate on the basis of electromagnetic induction. Interactions between currents and magnetic fields in the stator and rotor generate the torque that drives the rotating equipment. Induction motor faults such as air-gap eccentricity or broken rotor bars change the nature of the rotating magnetic fields, resulting in modulations of the currents. These may be observed in the power supply cables. Analysis can both identify and quantify the severity of faults in the motor. In contrast to dedicated condition monitoring sensors, the power cables of motors are typically easy to access. Motor currents and voltages are often already being recorded for other purposes such as protection or control. Fig. 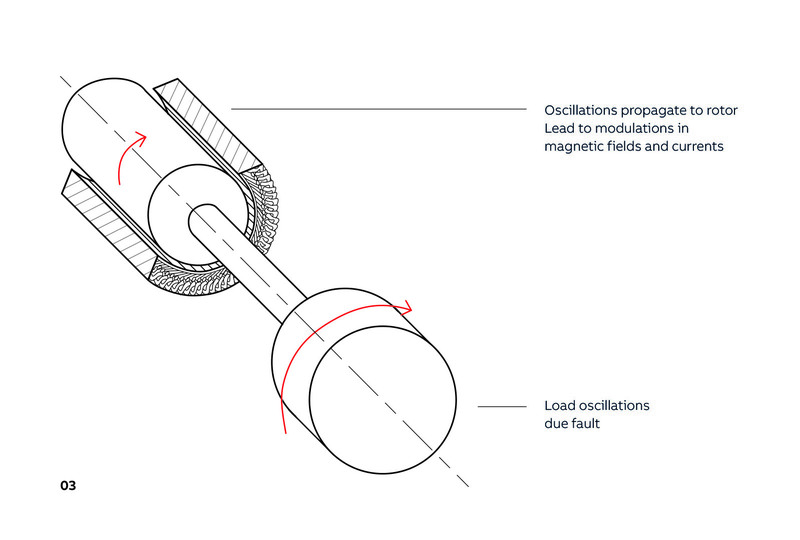 2: Oscillations caused by faults in rotating equipment can propagate through to a connected motor. 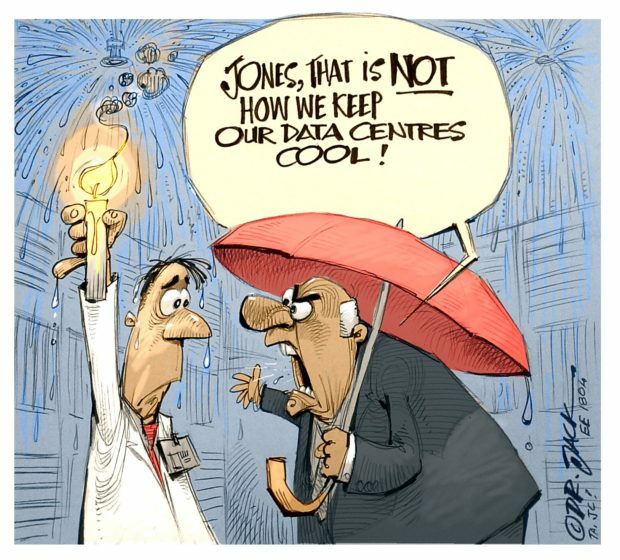 Condition monitoring can therefore be implemented on the basis of existing data, without requiring additional sensors (see Fig. 1). While MCSA is well established for monitoring motor faults, it is less commonly appreciated that faults occurring in components connected to the motor, such as gearboxes, compressors, pumps or fans, may also be reflected in these electric signals. The speed and torque of a motor can be estimated based on the voltages and currents measured at the supply terminals. Whereas many control strategies that allow variable-speed drives (VFDs) to regulate the speed and torque of a drive train accurately are commonly referred to as “sensorless”, they are based on these parameters in reality. Knowledge of the speed and torque can also provide data on connected components. An oscillation of the motor’s mechanical load (due, for example, to a degraded bearing) causes the rotation of the induction machine to vary, which in turn influences the magnetic fields in the motor and the currents and voltages measured at the motor terminals (see Fig. 2). 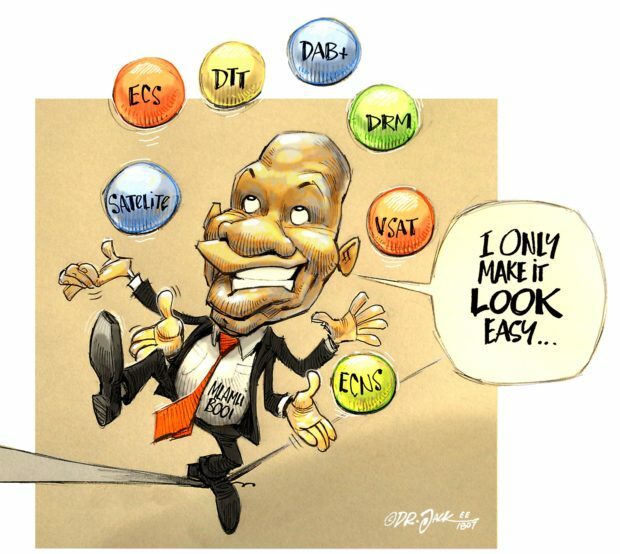 Various technical challenges must be overcome before MCSA can monitor connected load components. Chief among these is the need to understand the influence of all connected components, as well as a strong understanding of the operation of the motor itself. Cross-disciplinary domain knowledge is required to understand the influence of the electrical subsystems supplying the motor, the mechanical components connected in the drive train and, in many cases, the overall process system which the rotating equipment is contributing to. motor and gearbox with tooth faults. To illustrate this, a previously developed suite of algorithms, designed for monitoring the health of gearboxes on the basis of electrical signals recorded from a connected induction motor was considered . 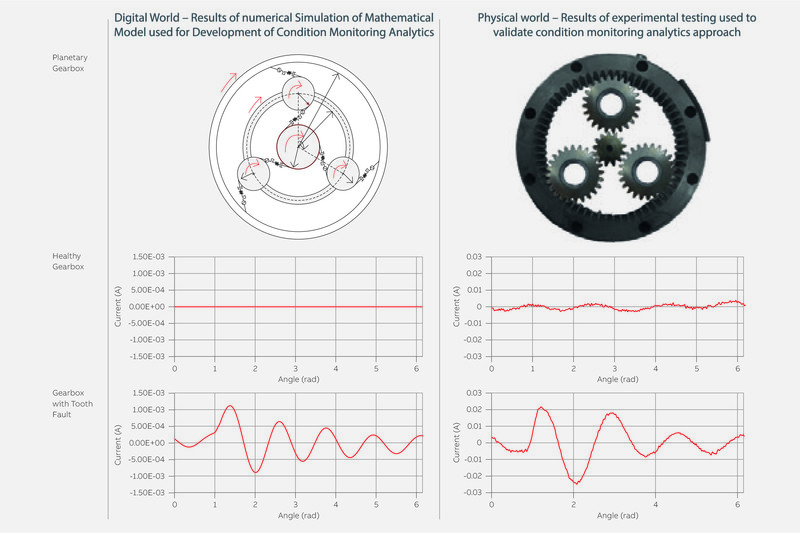 A mathematical model of a gearbox connected to an induction motor via a flexible coupling was developed. A space phasor model of an induction machine, which often forms the basis of sensorless control strategies, was combined with a low-degree-of-freedom, lumped parameter model of a gearbox. 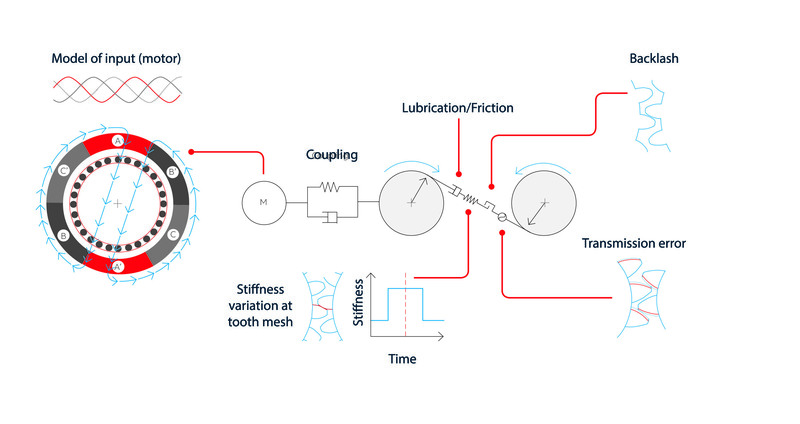 To understand properly the signatures that might be observed under healthy operation of the gearbox, various nonlinearities, including backlash and tooth stiffness variations were incorporated into the model. Gear tooth faults were simulated via a no-load static transmission error function. Such a low-degree-of-freedom modelling approach strikes a balance between modelling detail and complexity, allowing the influence of few key parameters on the response of the system to be understood for a wide range of operating conditions and device configurations (see Fig. 3). Insights obtained from this digital model were combined with further domain knowledge to develop signal processing algorithms that identify fault signatures. Synchronous signal averaging is used regularly in vibration analysis to detect tooth faults in gearboxes. The approach involves recording vibration signals synchronously with the angular position of the gear shaft. By averaging the vibration signal from rotation to rotation, noise components are suppressed and components relating to the gear mechanics reinforced. This approach allows subtle fault signatures to be extracted from noisy signals. ABB investigated whether a similar approach could be applied when looking at measured motor currents instead of vibrations. When examining a single phase in isolation, motor currents are dominated by the power supply frequency. However, by combining all three phases using space vector approaches such as the Extended Park Transform, the signals can effectively be demodulated, leaving only components caused by imperfections and faults in the motor and load. Fig. 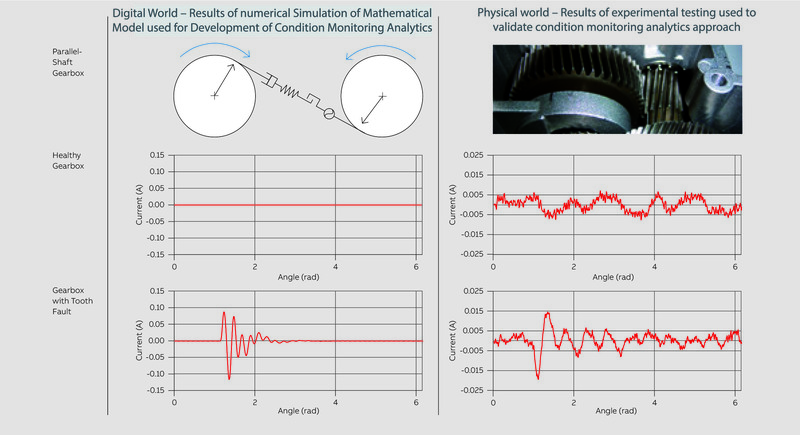 4: Comparisons between numerical simulation and experimental results validate that gear tooth faults can be observed in induction motor currents. Specially designed experiments validated the developed approach, showing that faults in gear teeth could indeed be detected by analysing the electric currents supplying a connected induction motor. This information may be used to identify metrics that quantify the level of the fault. Such information can be trended over time to identify degradation (see Fig. 4). Similar processes can be applied to develop methods for monitoring faults in other components, also using motor currents. Planetary (epicyclic) gearboxes are typically found in power-dense, critical applications such as wind turbines, gas turbines, helicopters or mining equipment. Despite having a more complex design than the standard parallel shaft gearbox considered previously, it was found that similar approaches for monitoring tooth profile faults could be applied  (see Fig. 5). The method has also been applied successfully to diagnosing motor faults in complicated cases such as wood chipping applications where the measured signals are highly non-stationary. The approach has also proven itself in other load applications such as compressors, pumps and fans. The premise that underpins this method is that equipment does not operate in isolation but as systems of interacting components. Considering components in isolation can lead to false and missed alarms as dependencies on operating conditions and propagations of dynamics between components are neglected. Comprehensive, holistic monitoring approaches to system monitoring are preferable. Sensors are often complementary – one type of sensor or feature extraction approach will react better to certain faults than others (and vice-versa). Fusing data from multiple sources can therefore improve the reliability and robustness of diagnosis. Sensors can fail. The motor current can be used as a fallback strategy when other condition monitoring sensors are no longer available. Sometimes motor currents are recorded for purposes other than condition monitoring (e.g. for control purposes in variable speed drives). It has been demonstrated that drive signals can be used for condition monitoring purposes [3, 4]. The digital revolution is enabling further development of condition monitoring analytics methods for optimising customer maintenance operations. Fig. 5: Gear tooth faults can be observed in induction motor currents even in the more complicated case of a planetary gearbox. To monitor the health of components accurately, it is necessary to record the right data at the right times, at the right data volumes, at the right locations. Value can often be extracted from different, non-obvious data sources. In this article, for example, it was shown that motor currents can be used either in place of, or in combination with other sensors to monitor rotating equipment. The understanding built during such a development can guide decisions regarding the design of a complete condition analytics system, ranging from the choice of sensors and sampling rates, to which machine learning algorithm is most applicable and what calculations should be performed at the edge, as well as what should be calculated in the cloud. Development of next-level condition monitoring analytics solutions requires multidisciplinary domain expertise to understand customer systems and processes in a holistic manner. JR Ottewill and M Orkisz: “Condition monitoring of gearboxes using synchronously averaged electric motor signals”, Mechanical systems and signal processing, 2013. JR Ottewill, A Ruszczyk and D Broda: “Monitoring tooth profile faults in epicyclic gearboxes using synchronously averaged motor currents Mathematical modeling and experimental validation”, Mechanical systems and signal processing, Volume 84, Part A, 1 February 2017. Michal Orkisz, Maciej Wnek and Pieder Joerg: “Hidden treasure – drive data are a treasure trove of hidden information that can help industries solve problems before they even happen”, ABB Review 1/2010, 2010. Trond Haugen, Edgar Jellum, Michal Orkisz: “Doing more with less – the drive for greater productivity”, ABB Review 1/2009, 2009.